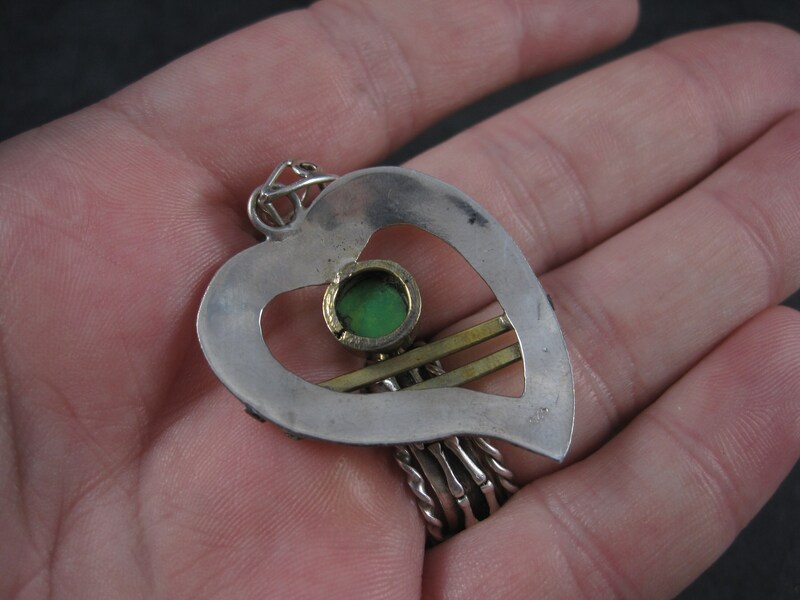 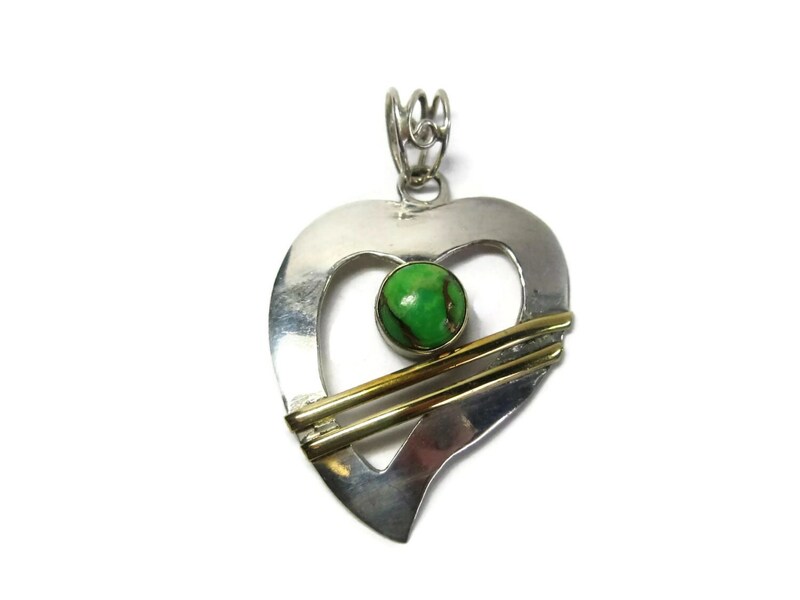 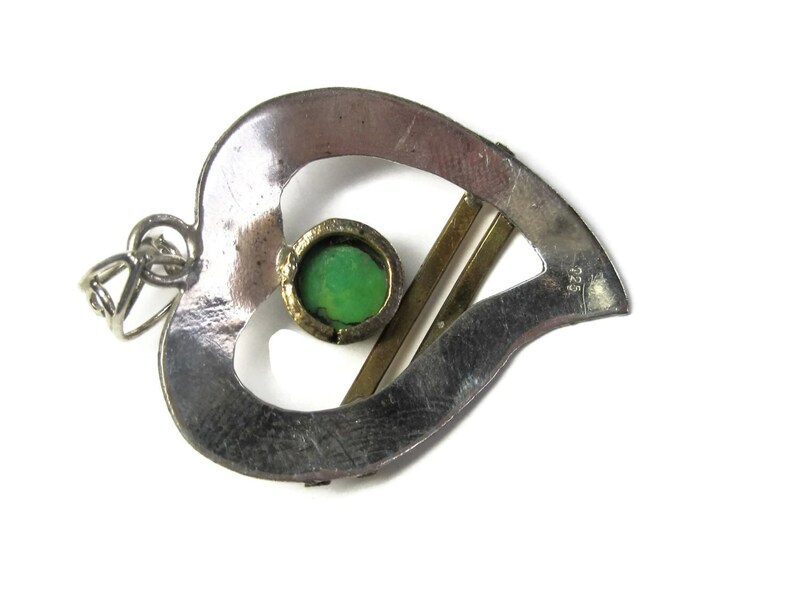 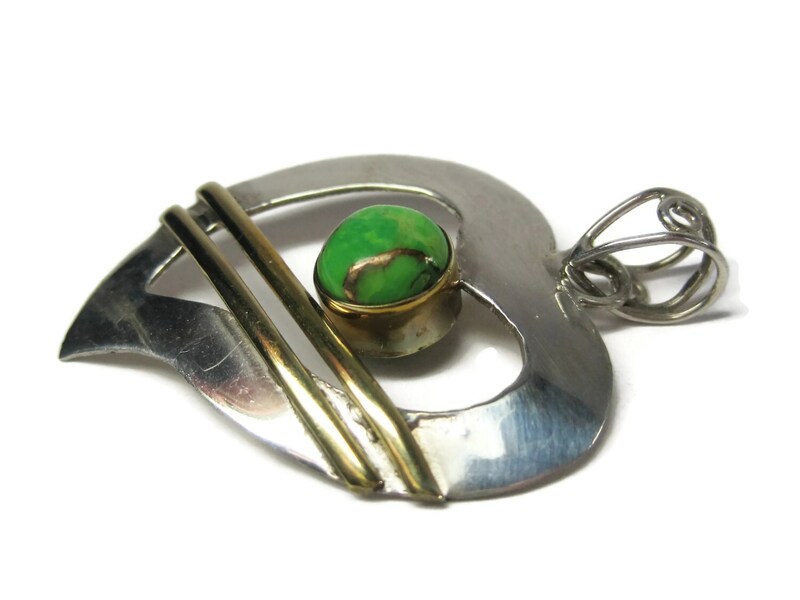 This gorgeous vintage pendant is 925 sterling silver with gold accenting. 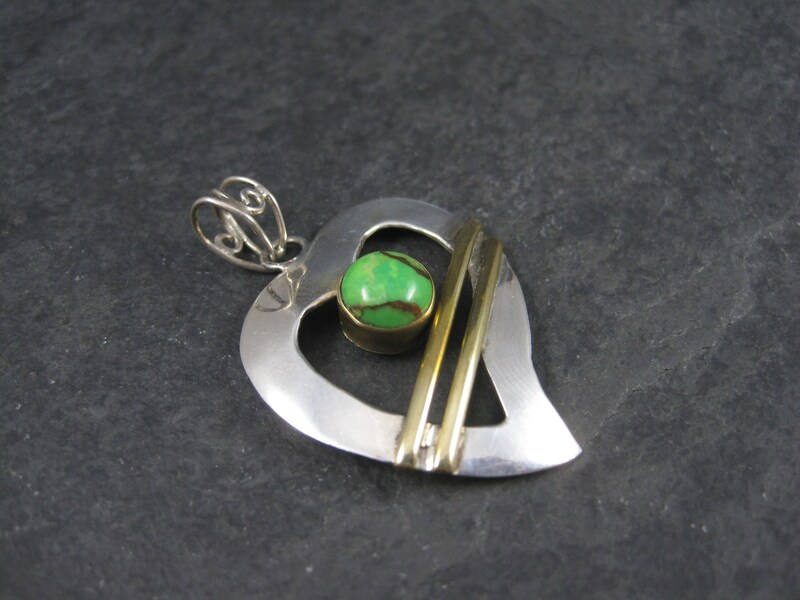 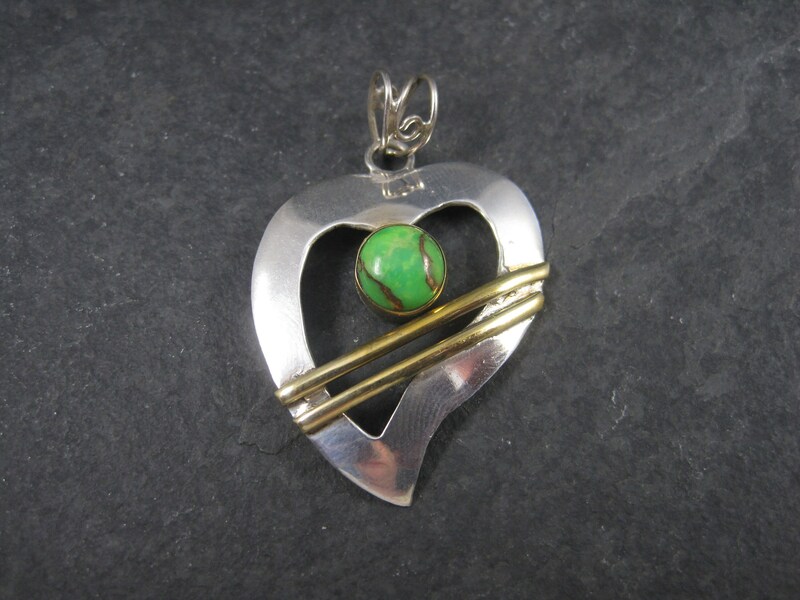 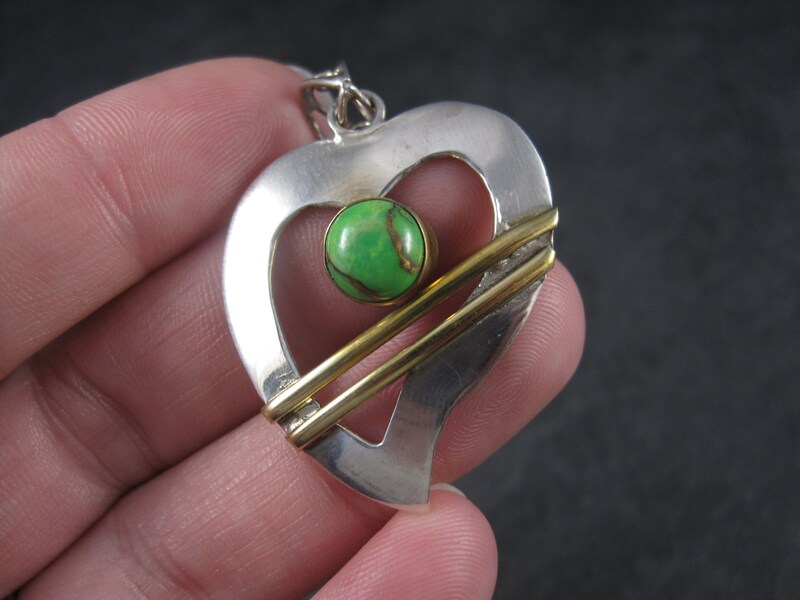 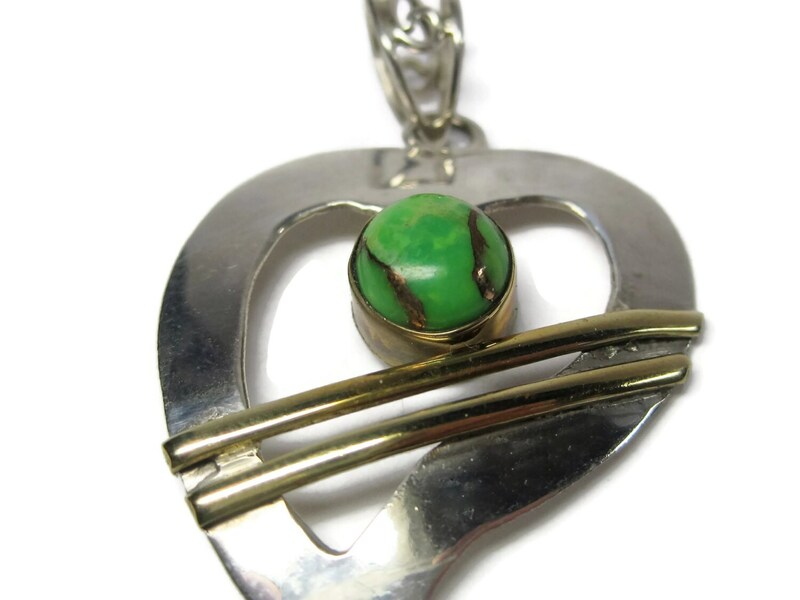 It features an 8mm green turquoise gemstone with gold matrix. 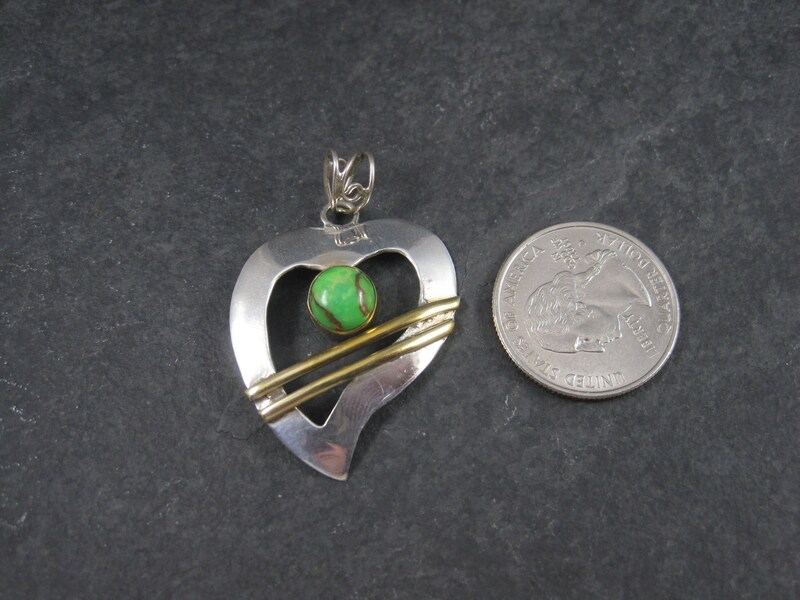 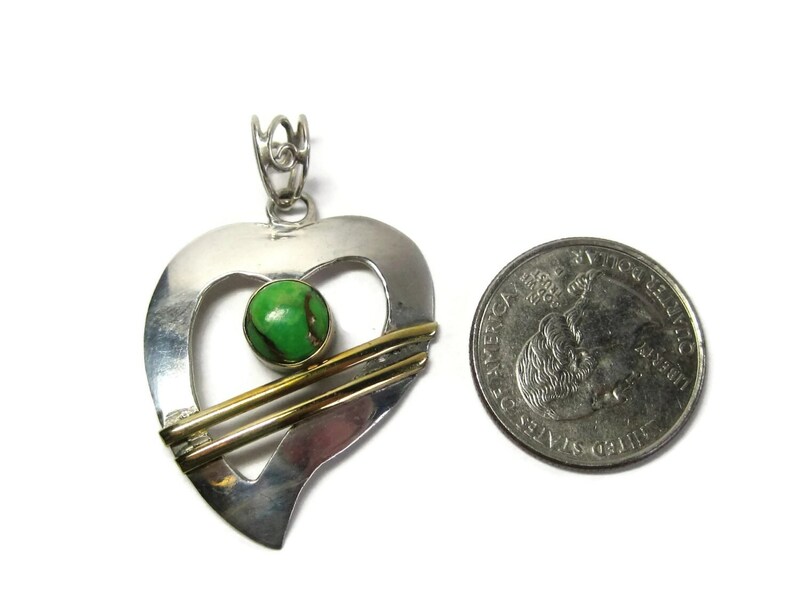 This pendant measures 1 1/8th inches at its widest and is 1 3/8ths inches long, not including the bail.